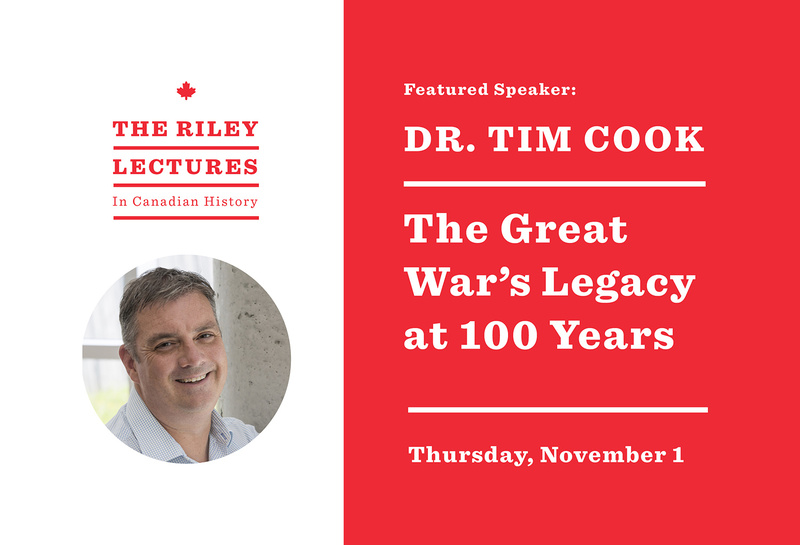 The Riley Lectures Presented: Dr. Tim Cook, the Great War historian at the Canadian War Museum. Dr. Cook's lecture entitled "Canada's Great War Legacy: 100 years on." Dr. Tim Cook has ten books that have won numerous awards, including the 2008 J.W. Dafoe Prize for At the Sharp End, the 2009 Charles Taylor Prize for Literary Non-Fiction for Shock Troops, and the 2018 J.W. Dafoe Prize for Vimy. Dr. Cook is also a member of the Order of Canada.